Asko Appliances (James Dorron, Harry Bethwaite, Dan Phillips) was always in the top three or four boats throughout the race and finished 58s behind Finport, in third place. Smeg shares the lead after today’s racing with Winning Group (John Winning Jr.), which finished fourth in today’s race. After discarding each team’s worst result so far, Smeg and Winning Group are on eight points, followed by Asko Appliances on 9, Bing Lee on 10, The Kitchen Maker-Caesarstone (Jordan Girdis) on 13 and Appliancesonline.com.au on 16. Following two weeks of extreme wind conditions, today’s nor’easter was perfect for all the teams to show their boat speed and boat handling skills. Winning Group won the start at the pin end of the line and held off challengers on the long windward beat to the Beashel Buoy. Despite the strong challenges, Winning Group held a 7s lead over Smeg, followed by Asko Appliances, The Kitchen Maker-Caesarstone and Bing Lee. 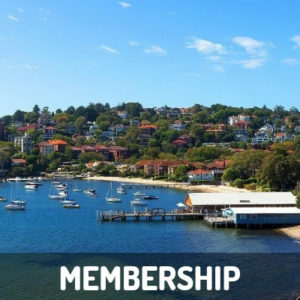 Coxon and his team on Smeg elected to gybe shortly afterwards and the move paid off as Smeg took the lead from Winning group as the fleet headed to the wing in Rose Bay. Asko Appliances was also fast downwind and got to withing 15s of Smeg, but a slow spinnaker drop and mark rounding at the bottom mark allowed Winning Group to get back into second place as the fleet headed back to the windward mark at the Beashel Buoy. Finport Finance began to make a move off this leg ahead of both Asko Appliances and Bing Lee. Smeg’s lead was 45s at the windward mark as Finport Finance and Winning Group went around the Beashel Buoy together. A slightly checkered run on the long spinnaker run down the harbour back to the bottom mark off Clark Island saw Smeg’s lead halved by Finport Finance, and the race was on over the final lap of the course. The experienced Smeg crew held strong and their confidence in their boatspeed was repaid when they maintaned a 12s lead at the final windward mark, then increased the margin on the spinnaker run back to the finish off Clark Island. 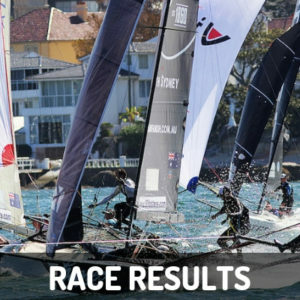 The race was a great hit-out for all teams in preparation for next month’s JJ Giltinan Championship. 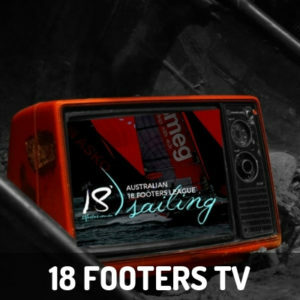 Races 6 and 7 of the championship will be sailed next Sunday, and the Australian 18 Footers League’s spectator ferry will be there to follow all the action. 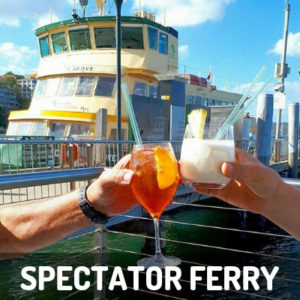 The ferry will leave Double Bay public wharf at 2pm..
Sundays February 10 and February 17.